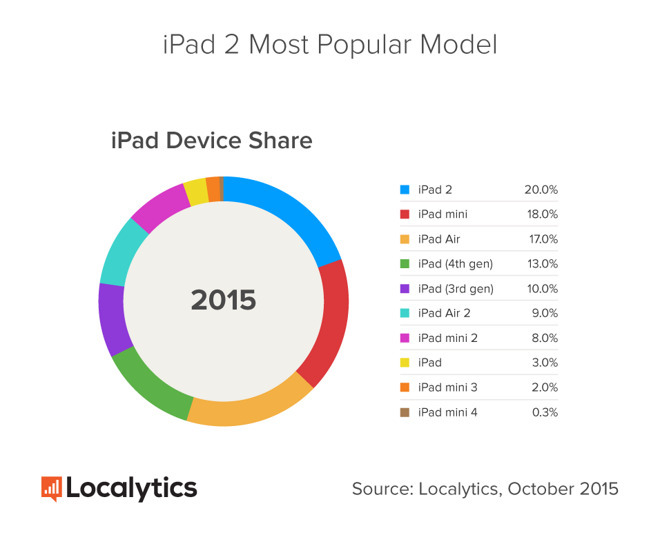 Apple's current flagship iPads —the iPad Air 2 and iPad mini 4 —accounted for just 9 percent and 0.3 percent of usage, respectively. 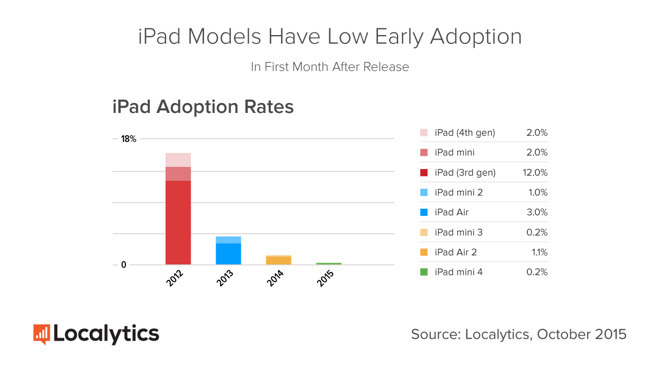 In comparison, the original iPad from 2010 claimed a 3 percent share. Localytics suggested that the discrepancy is attributable to longer lifecycles, since unlike iPhones there aren't normally any contracts attached to an iPad. People are also said to be taking advantage of older models staying on sale at a discount —the iPad mini 2, for instance, can be had for $269, much less than the $499 Air 2 or the $399 Mini 4.